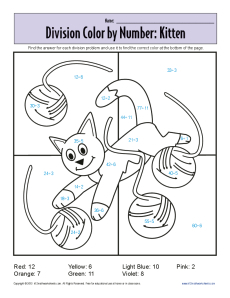 This cute kitten is a "purrr-fect" way to learn division! Your youngster must solve the division problems to find the right color to use. It's a great combination of fun and math.